Ask people about the “Great American Smoke-Out,” and many could tell you about this annual promotion encouraging tobacco smokers to quit. Ask them about “The Great American Spit-Out,” though, and they may look puzzled. That’s because most of society’s attention is on quitting smoking; but the truth is smoking isn’t the only tobacco habit that needs to be kicked. Whether chewing tobacco or the more finely ground snuff, smokeless tobacco is a popular habit especially among young athletes. It doesn’t receive the attention of smoking tobacco because it’s perceived as less dangerous. The truth is, though, it’s just as hazardous — especially to your oral health. 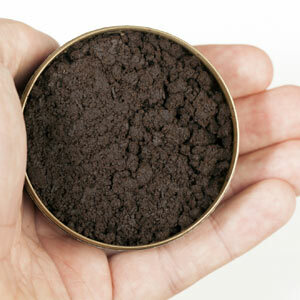 While any form of tobacco is considered a carcinogen, smokeless tobacco in particular has been linked to oral cancer. This is especially dangerous not only because oral cancer can lead to physical disfigurement and other negative outcomes, but it also has a dismal 58% survival rate five years from diagnosis. And because it too contains highly addictive nicotine, smokeless tobacco can be just as difficult to quit as smoking. Fortunately, the same techniques for smoking cessation can work with chewing habits. Nicotine replacements like nicotine gum, lozenges and patches, as well as Zyban, a cessation medication, have all been shown helpful with quitting smokeless tobacco. Often, however, it takes a change in perception — taking chewing tobacco down from its pedestal of “coolness” and seeing it for what it is: a dangerous habit that increases the risk of cancer, cardiovascular disease and even decreased sexual arousal and function. And although not life-threatening, it can also give you bad breath, dry mouth and an assortment of dental problems that incur financial and social costs. Teeth and gums in that environment aren’t so cool. The first step is to consider the consequences of continuing the chewing or dipping habit and making the decision to quit. You may also benefit from the help of others: counselors experienced with tobacco cessation programs or a support group of others trying to quit. Following through aggressively will help ensure smokeless tobacco won’t lead to the loss of your teeth, health or life.